Harney & Sons blend of black tea, fruits and nut flavors. 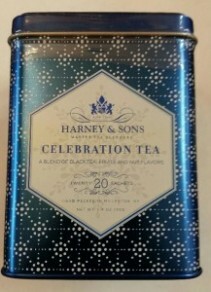 Based on traditional English flavors, this irresistible blend is perfect for gatherings of friends and families. Savor this limited edition tea anytime of the day or gift it to someone you love. 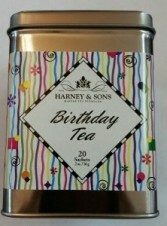 Celebrate this special day with an aromatic & flavorful cup of birthday tea. Luscious fruit and berry flavors are blended with flowers to crate a delightful and yummy crimson cup of tea worthy of a celebration. Gardens are inspiring in the way they show continual growth, renewal, and vitality, Love, tenderness and care help to nurture a garden. $1 of the proceeds from the sale of this tin will be shared by the Jane Lloyd fund, and National Breast Cancer Foundation. 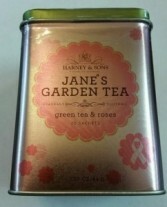 This tea is a delightful blend of green tea and rose petals. 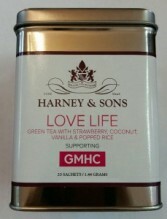 A delicious blend of green tea, popped rice, pink cornflowers, natural and artificial strawberry, coconut and vanilla flavors. 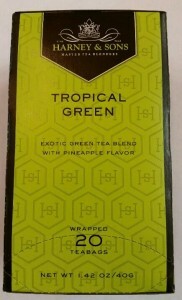 Exotic green tea blend with pineapple. Indian green tea hand picked from southern India. 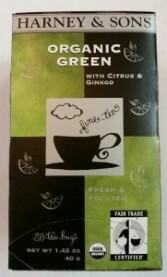 This tea is a refreshing blend that delivers you the benefits associated with green tea and ginkgo. Along with the bright taste of citrus. 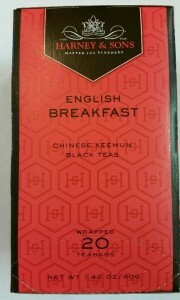 Toasty tea from china. 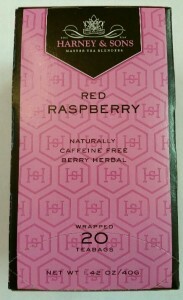 This blend will recharge your mornings and pick you up any time of day. A mixture of hibiscus, rose hip berries, apple granules, raspberry leaves, orange and lemon peels, red poppy flowers, spearmint, and peppermint leaves. Flowers convey a message that cannot be put into words. 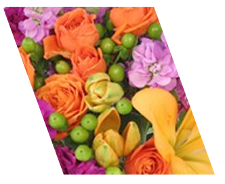 ANDERSON FLORIST of Tillamook, OR provides a variety of fresh, fashionable floral designs to ensure that your gift is one of elegance and beauty. 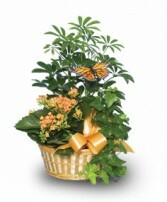 When you're looking for a unique hostess gift, token of appreciation or just a surprise to brighten someone's day, let ANDERSON FLORIST customize and deliver one of our many fun, decorative & luxury gifts! We create dazzling presentations that are sure to please for any gift-giving occasion. To get your custom gift items, come by and see ANDERSON FLORIST - your local Tillamook, OR florist.